Sous les rouges coquelicots des cimetières flamands. 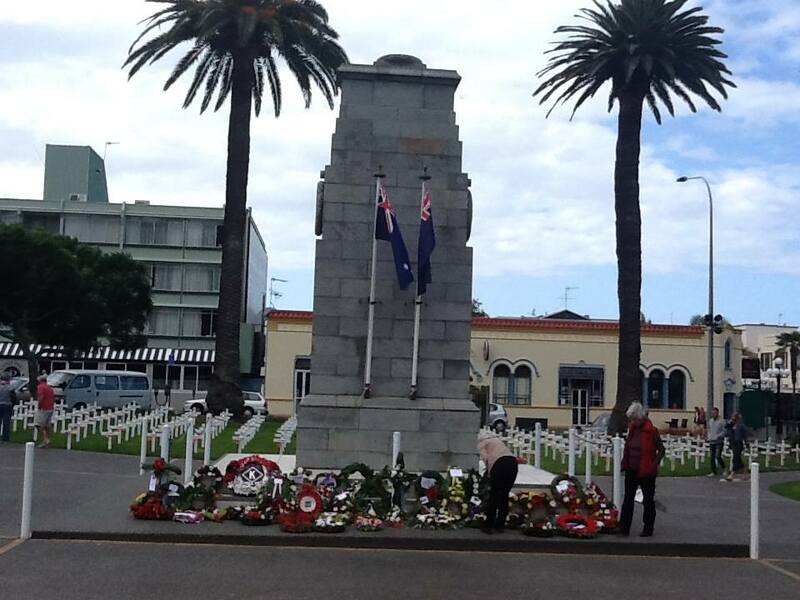 Each year, the Hawke’s Bay French Association is requested by the Napier RSA to place a wreath on the Cenotaph in Memorial Square. 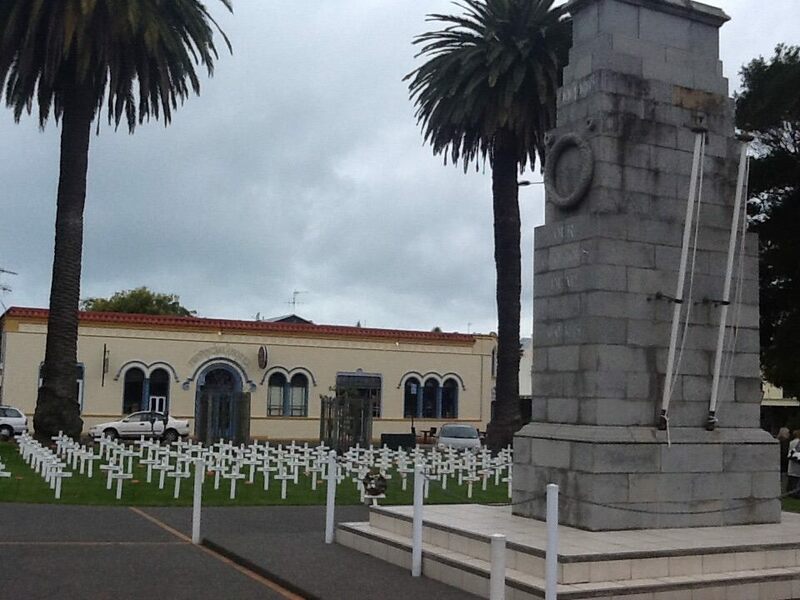 Chaque année Napier RSA(organisation pour les anciens militaires) demande à l'Association Française de Hawke's Bay de mettre une couronne de fleurs pour se souvenir des guerres au cénotaphe de Napier. ​In keeping with the special ANZAC commemorations and the anniversary of the Battle of the Somme, AFHB member James Donaldson was asked to place the wreath “on behalf of the people of France”. 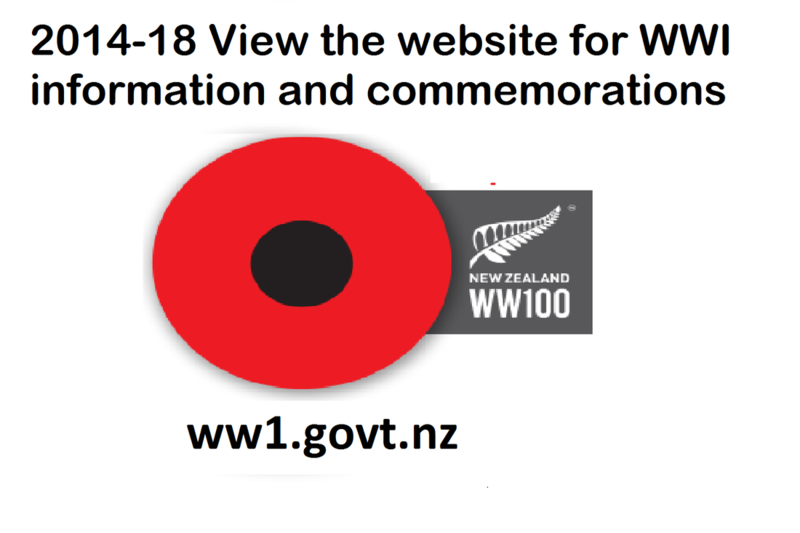 James' granddad fought for New Zealand in France and Belgium in World War I and was awarded a Military Medal for bravery at Bon Avis ridge near LeQuesnoy. 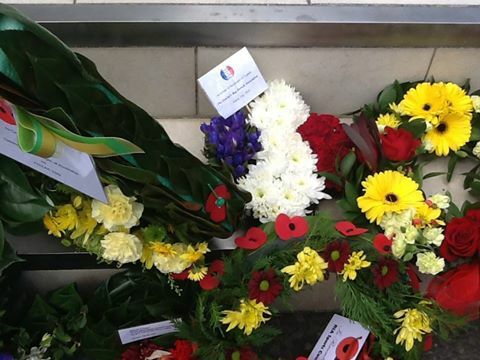 Anne Grooby presents the wreath on behalf of the French Association in 2015. 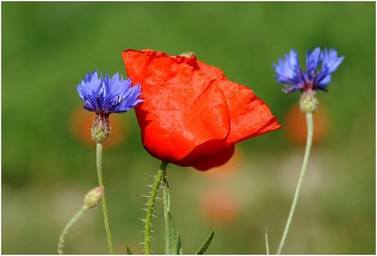 Bleuet(cornflower) of France and the Coquelicot(poppy) of New Zealand(Commonwealth) Both flowers grow side by side in the North of France.